Cost: Total cost is $2999.00/pp** based on double occupancy. includes the boat, airfare & group insurance. Plus Free Nitrox. Does not include $185 per person fuel surcharge & Marine Park/Port Fees, payable on board the boat. Where: Northeastern Caribbean aboard the Caribbean Explorer II. Come join Sea The World as we explore the Northeast Caribbean on an extremely varied itinerary! This journey starts in St. Kitts and ends in St. Maarten. Included in the package are the 7 nights aboard the CEX II. COST OF THE TRIP is $2999.00**/pp based on double occupancy. Includes the boat, airfare & group insurance, plus FREE NITROX!! NOT INCLUDED IN THIS CHARTER ARE ONBOARD CHARGES OF $115 port tax/immigration/marine park fee & $70 fuel surcharge per person. Onboard charges may change until 30 days prior to departure. Also not included in the package price are transfers to/from the boat. Airport transfers currently run about $10-$15 per person in St. Kitts & $15-$30 per person in St Maarten. Airfare & mandatory group trip cancellation is now included in the total cost; flights will be into ST. KITTS and out of ST. MAARTEN. All invoices will now include the total trip cost except for those charges that are payable onboard or are listed above. DEPOSIT IS $1,000 per person and final payment will be due 25JUL2019. DEPOSIT IS NON-REFUNDABLE UNLESS SPACE CAN BE RESOLD. The Northeast Caribbean is an intriguing area offering a blend of Dutch, British, French and Native cultures on some of the most scenic islands of the Caribbean. 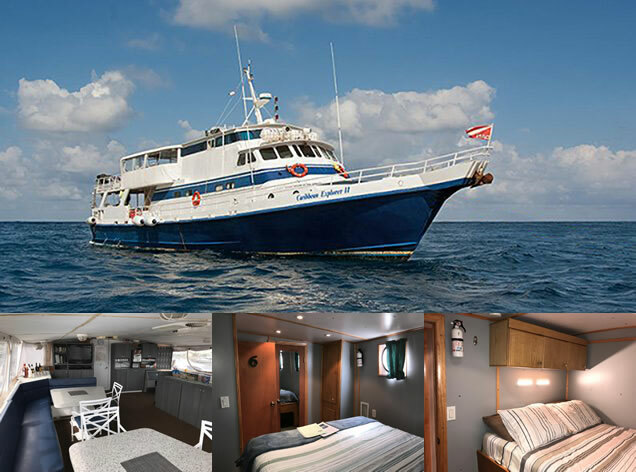 Departing each Saturday on her 8 day/7 night diving expeditions, this charter boards in St. Kitts and disembarks in St. Maarten. Itineraries including 5-1/2 days of diving, including 3 days of diving within the Saba Marine Park and 2-1/2 days of diving the St. Kitts dive sites. 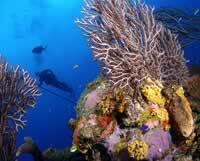 5 dives daily are offered, including night dives. The schedule also provides for an optional land tour of Saba (miss 1 dive) if you wish to explore the rainforest there. Once disembarking in St. Maarten, you'll have Friday afternoon free to explore either the Dutch or the French sides of the island or even see both! The CEX II's combination of diving and optional island access has always been unique within the Caribbean Liveaboard diving industry. As a dedicated dive Liveaboard, all diving is done directly off of the vessel, using the expansive dive deck covering the aft third of the main deck. Each diver has his or her own dive gear bin; a large camera table as well as rinse tanks, wetsuit drying racks, charging stations are available for all to use. NITROX is available for those certified in its use; tanks are filled in place in between each dive so there is never any need to disassemble your gear. 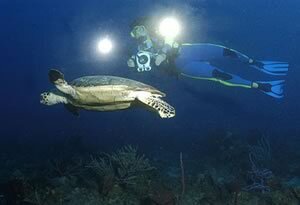 If you are interested in touring the island, other guests can continue diving. Explorer Ventures onboard crew can also arrange additional time ashore to hike the rainforest, horseback ride on the beach or even play golf�.check with the crew when you board. CEX II features private ensuite bathrooms in each of the nine air-conditioned double staterooms. A crew of seven, including 4 dive instructors, caters to the needs of the 18 guests each week. Each stateroom has a private lavatory, toilet and shower; most have queen beds with a twin bed option, as well. A large semi-enclosed salon serves as the main gathering place for meals, slide shows and movies. Aft of the salon, the sundeck features a large area and lounge chairs to relax and read or soak up the sun's rays in between dives. *PLEASE NOTE: All prices reflect a 4% discount for purchases made with cash/check. THERE ARE NO DISCOUNTS FOR SALES MADE ON CREDIT CARDS.